Economy and Energy Minister Peter Dimitrov opened Monday the 28th edition of the International Consumer Goods and Technologies Fair Spring 2008, BTA reported. There are 991 companies from 36 countries exhibiting at this year's edition of the event. The Bulgarian exhibitors are 668, 14 more than in 2007. 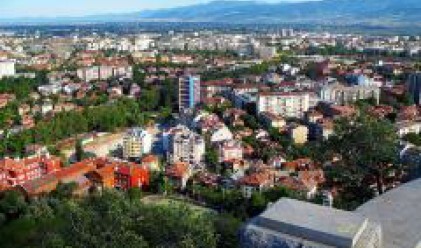 Dimitrov said the interest in the fair is considerable, thanks to its global reputation, Bulgaria's good climatic conditions, the tax policy and because this country is now part of the big EU market. The fair's programme has three sideline events: an exhibition of yachts, boats and water sports equipment, a business consulting area and an art fair called Impression, Executive Director of the International Plovdiv Fair Ivan Sokolov said. Other attractions at Spring 2008 are a cooking competition and a national ship modelling competition for the Cup of the International Plovdiv Fair. Dimitrov said that the cabinet has a suggestion to open branches of the International Plovdiv Fair in other big cities in Bulgaria, starting with Sofia and Varna, on the Black Sea. For this purpose the state can provide land, he said, and urged the business to make investments. Commenting the global mortgage crisis Dimitrov said he is convinced that in 2008 the government will provide conditions for the business guaranteeing a growth rate of more than 6 per cent. Dimitrov said that in the first quarter of 2008 foreign investments are by 100 million euros more than the like period in 2007. With regard to the pending increase of electricity prices Dimitrov said that the cabinet will not agree with the demands of the players in the sector to quickly make them equal to European prices.